Be the first to share your favorite memory, photo or story of M.. This memorial page is dedicated for family, friends and future generations to celebrate the life of their loved one. M. Katrina Costello, 89, formerly of Coatesville died Saturday, April 6, 2019 at Tel Hai Retirement Community, Honey Brook. Born in Los Angeles, California, she was the daughter of the late George H. and Helen M. Wetzel Schweitzer and the wife of the late Harold E. Costello with whom she shared 29 years of marriage before his death in 2005. Katrina was a member of Our Lady of the Rosary, Coatesville where she was an active member of the Congrega, taught RCIA and CCD for 10 years. Before her marriage to Hal, she was a member of the Sisters of Charity of Leavenworth. She was a nurse at Embreeville State Hospital, Tri-County Intensive Care Unit, Paoli Memorial Hospital and Chester County Hospital. Katrina is survived by her daughter, Kathleen Garcia; her stepson, Ralph Costello and his wife Bonnie; three grandchildren: Mary, Anthony, Conner and two step-grandchildren, Chuck and Colleen. She was predeceased by her brother, George Schweitzer and her sister, Helene Schweitzer. Katrina’s funeral mass will be celebrated Wednesday, April 10, 2019 at 11am at Our Lady of the Rosary, Coatesville with visitation beginning at 10am. Entombment will be in St. Agnes Cemetery, West Chester. 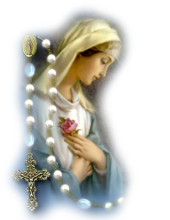 Memorials in Katrina’s honor may be made to Our Lady of the Rosary 80 S. 17th Avenue, Coatesville, PA 19320 or to Eternal Word Television Network (EWTN) 5817 Old Leeds Road, Irondale, AL 35210. To send flowers or a remembrance gift to the family of M. Katrina Costello, please visit our Tribute Store. "Email Address" would like to share the life celebration of M. Katrina Costello. Click on the "link" to go to share a favorite memory or leave a condolence message for the family.